Screen recorder sortwares are used to record something that happens on your computer (pc). Its up to you, for what you need a screen recorder? But it is commanly used when you want to teach someone that how to use this program, or you making video tutorials and then you uploading it to youtube,or you just want to record a game etc These screen recorders help you in these cases and you need to use screen recorder softwares for these purposes. If you want to record anything that you are doing on your pc, you need a screen recorder, So here we listed 7 free and best screen recorders that are free to download so you can download it and use it (these all will work fine for all windows i.e windows 7, windows 8 or xp/vista and some are also for linux). Every of them has there own features so look at these features and select one or more for you. Also Read: How to capture a screen shot of your pc. 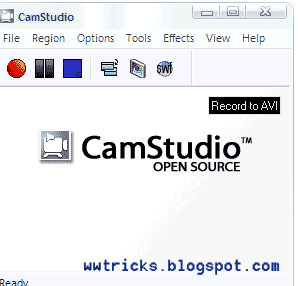 Camstudio is an open source Screen recorder software which allow you to record every screen and audio activity on your pc. It comes with many useful options i.e you can enable/disable your mouse cursor,choose to record a particular area on your screen or a program window so that the rest of your desktop isn’t showing on the recording. 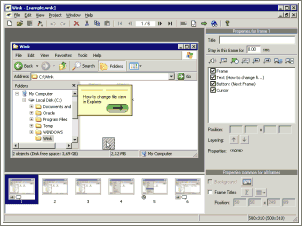 Also having more useful options under the "options"
Wink is another free to use screen recorder software you can use wink to make a tutorial, presentation etc. It allows you to add explanations boxes, buttons, titles etc to your videos so you will able to make a high effective tutorial for your users using wink. CaptureFos is a very useful Firefox (Browser) add-on, which can be used to make a tutorial of what happens on your pc desktop with your voice. Yet another Free Screen recorder tool is here, This is also a very useful software that allows you to make a video of the work you are doing on your desktop. know more how to use it at this [link]. Ezvid the also one of the most popular and most used Free Screen recorder software. people use it for video recording purpose because of its advanced and user-friendly features.It has an in-built video editor where you can split your recordings and add text in between two clips. You can watch videos on Ezvid websites to know how to use this software or any other tips and tricks about this software. Rylstim screen recorder is also a good choice for you if you are looking for a free screen recorder software. 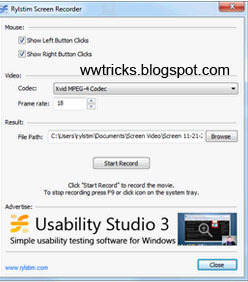 This software is useful for those who just need a basic screen recorder. This will not capture sound from input devices(i.e microphone). 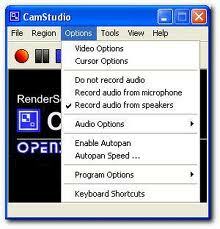 What you have to do is to just click on "Start Record" to let him start recording your pc. 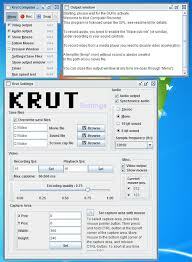 Krut is also a very useful,Best and Free screen recorder java application. After downloading Krut from its download page you don't need to install it.You will have a folder after downloading from where you need to run 'KRUT.jar' to get started with krut computer recorder.